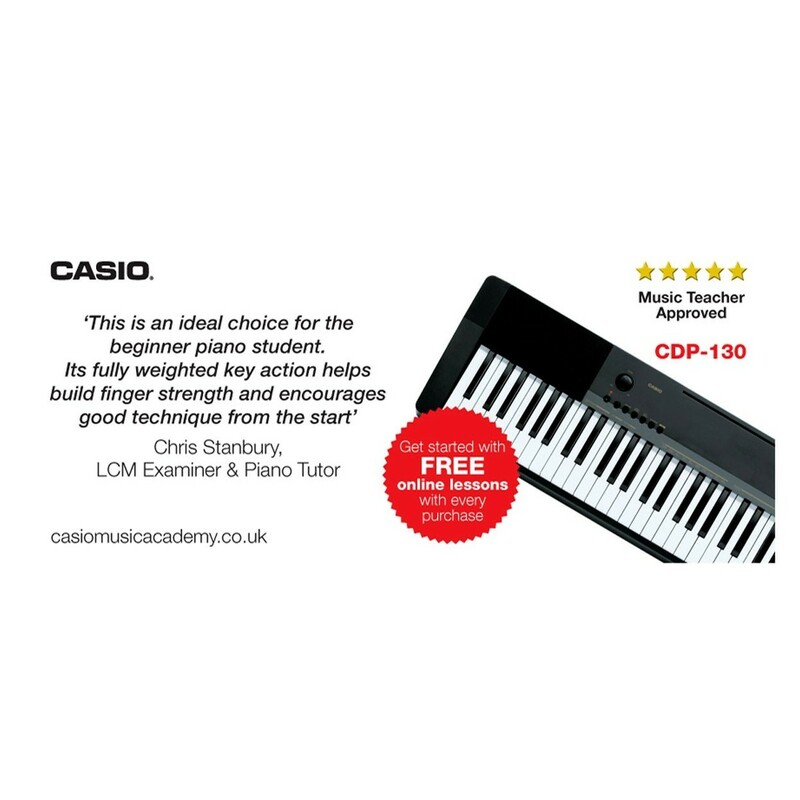 The Casio CDP 130 Compact Digital Piano is the ideal choice for any keyboard player just starting out or looking to expand their skills. 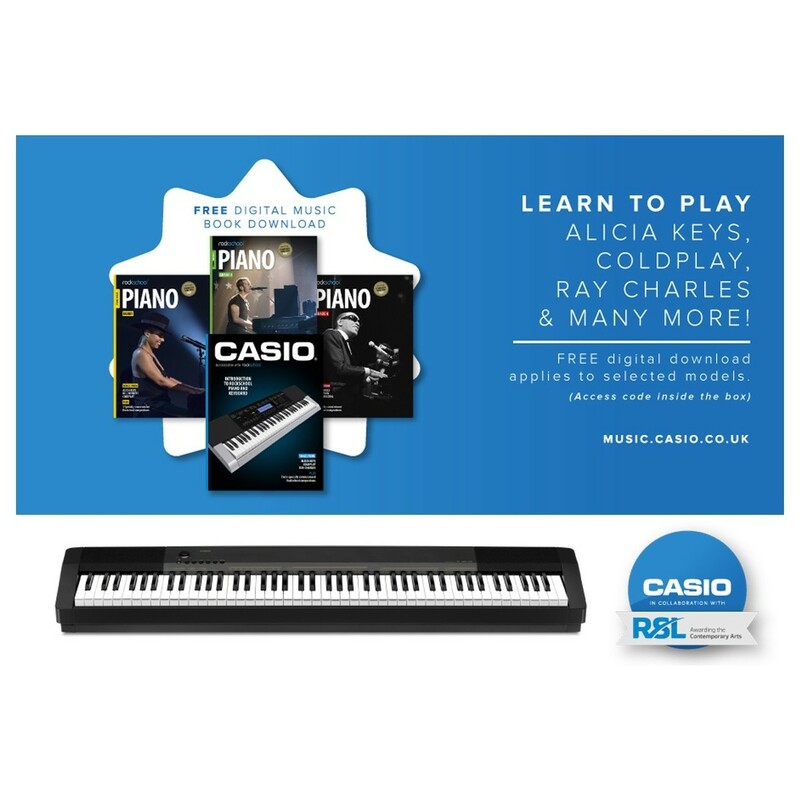 Providing 10 tones, an integrated metronome and a range of digital effects; this portable digital piano is perfect for beginner and intermediate players alike. The integrated loudspeakers in the CDP 130 deliver the exceptional piano sound, resulting in a premium quality output, letting you hear every nuance of the instrument. A built-in Hall effect button lets you apply concert hall reverb at the touch of a button, adding to the rich, articulate sound of piano sound. 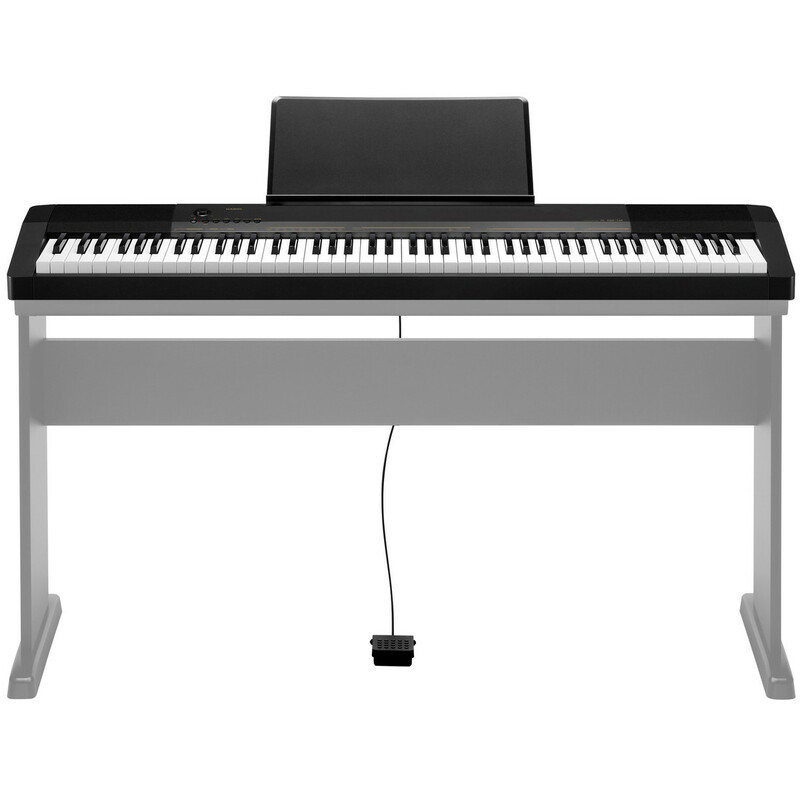 Also incorporated into this unit is a USB interface so you can connect your digital piano to your computer for added functionality. 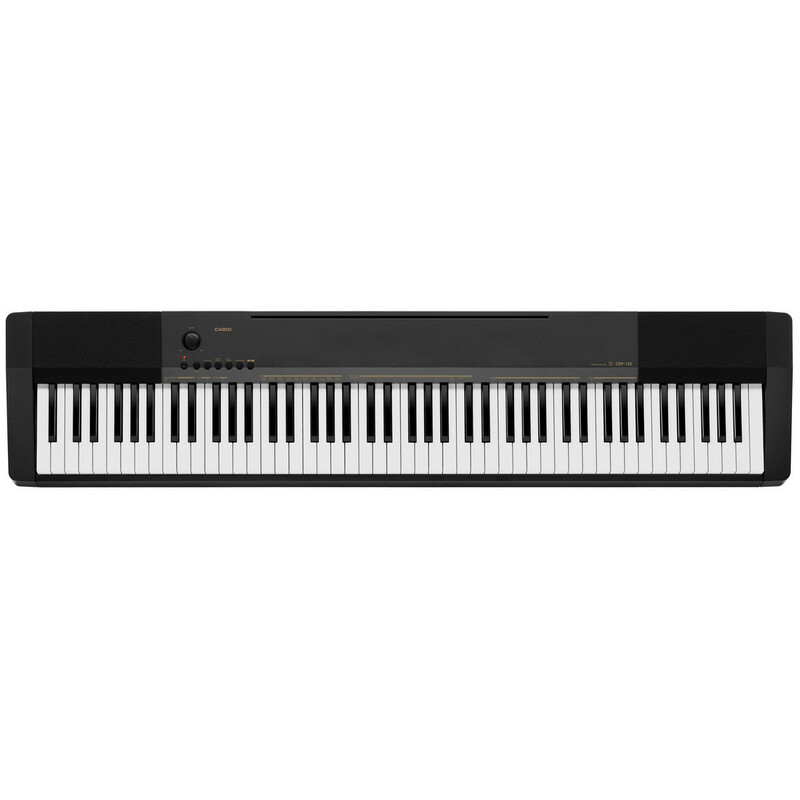 The CDP 130 was designed to be the perfect introduction to the world of keyboards, delivering all the standard functions and effects associated with digital pianos. One of the most important features of any digital piano is the touch and response of the keys. The CDP 130 features 88 fully-weighted keys that give you the natural feel and response associated with acoustic pianos. Also featured is 48-note polyphony, which means you can play up to 48 notes simultaneously, giving you optimal versatility over your playing style. There are a total of 10 AHL tones included with the CDP 130 that gives you the option to play using different sounds such as the EPiano (Electric Piano) or strings. This adds a new layer to your playing as different tones will affect the overall feel of your playing style, letting you experiment with different instruments and styles. Also featured are 8 digital effects which give you added versatility over your instrument. These digital effects range from Reverb to Chorus effects and more, letting you directly affect your sound and tweak the effects and tone to your liking.